DIRECTIONS: Click on the first initial of the graduate's last name. If you are a graduate and your name is not listed, visit http://soealumniassociationmemberupdate.blogspot.com to submit your information or e-mail the webmaster at mnrivera1@yahoo.com. The SOE Alumni Association congratulates Alpha Espina for receiving this year's 2015 UOG-SOE Distinguished Alumni Award on November 14, 2015 at the Lotte Hotel in Tumon, Guam. Margaret "Yoshi" Asuncion is a teacher at Ordot-Chalan Pago Elementary School. 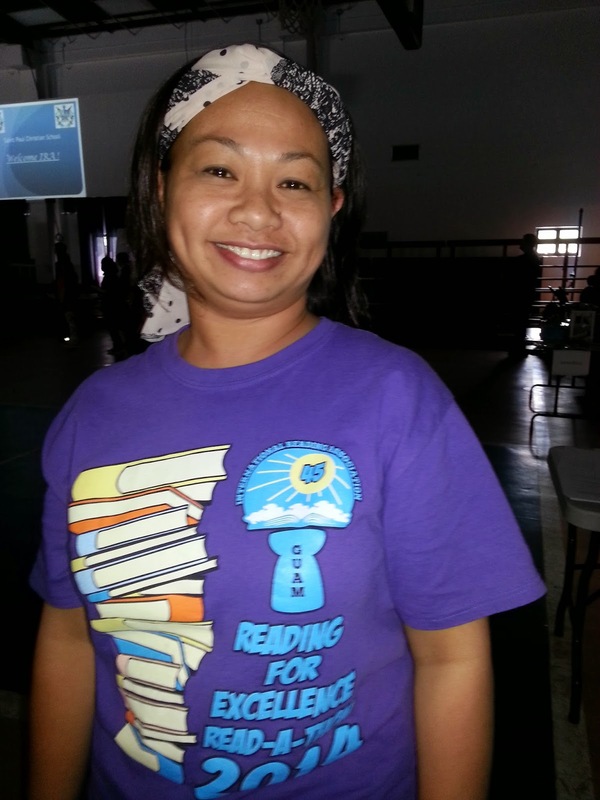 She serves as the Guam Council International Reading Association Membership Chairperson. She is also a former President for the Guam IRA. 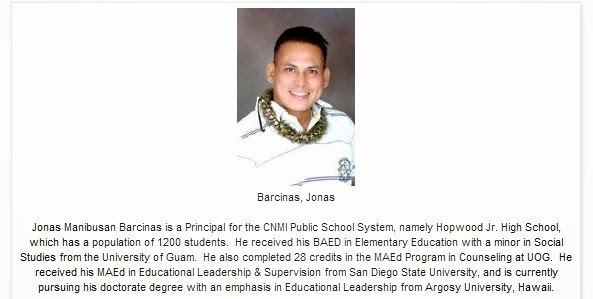 Jonas Manibusan Barcinas is a Principal for the CNMI Public School System, namely Hopwood Jr. High School, which has a population of 1200 students. He received his BAED in Elementary Education with a minor in Social Studies from the University of Guam. He also completed 28 credits in the MAEd Program in Counseling at UOG. He received his MAEd in Educational Leadership & Supervision from San Diego State University, and is currently pursuing his doctorate degree with an emphasis in Educational Leadership from Argosy University, Hawaii. Margaret Beem serves as the Vice President of the SOE Alumni Association. 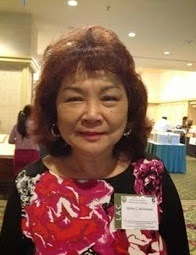 She is a retired educator from the Guam Department of Education. She is currently a teacher at Andersen Elementary School. Maria-Elena is a teacher for the GPSS Preschool GATE Program. She received her BAED in Early Childhood/Elementary Education from the University of Guam. 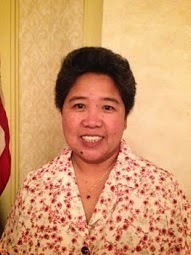 Tina Buendicho is a teacher at Marcial Sablan Elementary School in Agat. 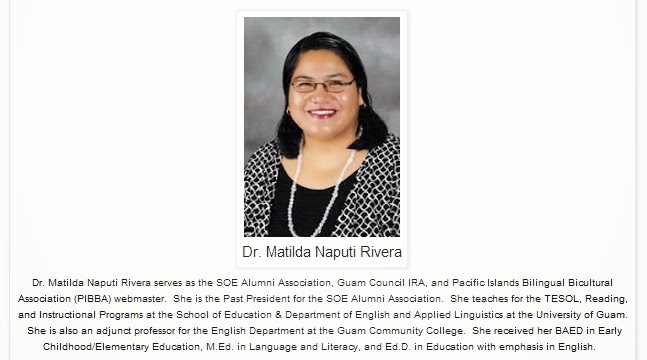 She is also a former President for the Guam Council International Reading Association. Albert Caasi is a teacher at Agueda I. Johnston Middle School. He received his BAED in Secondary ESL Education from the University of Guam. Eddie Cameron is a kindergarten teacher at Andersen Elementary School, DODEA. He received his BAED in Early Childhood/Elementary Education and M.Ed. in Language and Literacy from the University of Guam. Rose Cruz Castro serves as the President for the SOE Alumni Association. She formerly served as the organization's Treasurer. She is an Assistant Principal at Agueda Johnston Middle School. Carol Castro is a teacher at Adacao Elementary School. She received her BAED in Early Childhood/Elementary Education from the University of Guam. May Charfauros is a teacher at Marcial A. Sablan Elementary School. She received her BAED in Elementary Education from the University of Guam. Kenneth P. Chargualaf is a retired school principal for John F. Kennedy High School in Tamuning. Gaylene Cruz is an Assistant Principal at Southern High School. She received her BAED in Secondary Vocational Technical Education & MAEd in Administration and Supervision from the University of Guam. 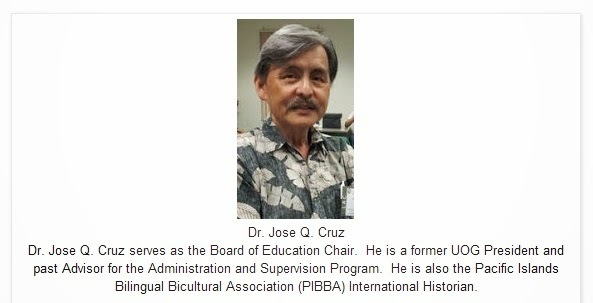 Dr. Jose Q. Cruz serves as the Board of Education Chair. He is a former UOG President and past Advisor for the Administration and Supervision Program. He is also the Pacific Islands Bilingual Bicultural Association (PIBBA) International Historian. Kim Cruz is a teacher at Price Elementary School. She received her BAED and M.Ed. in Language and Literacy from the University of Guam. Joshua Camacho Damian received his BAED in Elementary Education in May 2009. He serves as a teacher in the Guam Department of Education. 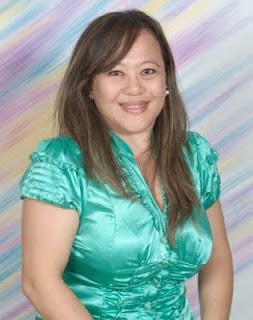 Dr. Arlene Diaz serves as an SPC-ESL for the Guam Department of Education. She also serves as the Pacific Islands Bilingual Bicultural Association (PIBBA) Guam Chapter President-Elect. Liwanag Dominguez is the past Secretary for the SOE Alumni Association. She received her BAED in Elementary Education and M.Ed. in Special Education from the University of Guam. She is a kindergarten teacher at LBJ Elementary School. Rachel Douglas is a teacher at Upi Elementary School. She received her BAED in Early Childhood/Elementary Education and M.Ed. in Language and Literacy from the University of Guam. Ken Duenas is a teacher at George Washington High School. He is a member of the Guam Council International Reading Association. he received his BAED in Elementary Education from the University of Guam. Espina received the 2015 UOG-SOE Distinguished Alumni Award. In order to view previous SOE Alumni Member postings/names not listed on the current web page, click on the wording Older Posts located above. You may also visit the SOE Member Archive located on the righthand side of this homepage to access previous posts/names. Click here to return to the SOE Alumni Association home page.